We are on islands in the middle of the Pacific living in completely multicultural surroundings. Some congregations began to serve a particular ethnic group, but have since evolved to include a mix of people of, perhaps, Japanese, Korean, Chinese, Samoan, Hawaiian, Filipino, Mexican, and European descent. Though small, with 37 worship sites, and rural, with miles of open spaces on the five islands where we have congregations, we also reflect urban life. Approximately 80% of Hawai‘i’s Episcopalians live in the metro area of Honolulu. As such, with more than 800,000 people, urban ministry is a major factor for many congregations in this missionary setting. For all inquiries about discerning ministry in the Episcopal Diocese of Hawai‘i, unless the position specifies otherwise, please contact the Rev. Cn. Alexander Graham. A clergyperson (deacon, priest, or bishop) is given temporary permission to serve at a particular congregation for up to three months. The responsibility varies, but is typically just Sunday supply. See the page "Come Serve in Hawai‘i Short-Term" for additional information. How to Apply: To apply for any Visiting Clergy opening, please see the Short-Term page for the required documents. If you have any questions regarding the Visiting Clergy program, please contact the Rev. Cn. Alexander Graham. ​All applications and packets are received in the Diocesan Support Center. Status: No longer receiving names. ​Status: Building profile for Priest-in-Charge (with option to later be called rector). Posting expected Spring 2019. Status: Rector's last day 1/6/19. Status: Receiving names for Rector until May 31, 2019. To apply, please email resume/CV with cover letter to Canon Sandy Graham. Status: ​Rector's last day 12/31/18. Status: Rector's last day 2/1/2019. `Iolani School is searching for a full-time Chaplain to join the Chaplaincy team, with ministry focus on the Upper School (grades 7-12, specifically in class with grades 9-12.) 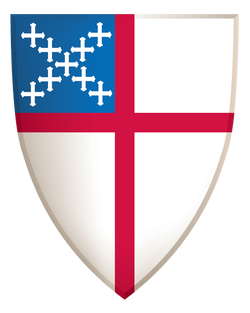 Candidates must be an ordained Episcopal priest, with a Masters of Divinity, at least 3-5 years of teaching experience at an independent or Episcopal school, with knowledge and expertise / experience in teaching World Religions, Bible, Social Justice, and / or moral theology, and experience working with young people. Of primary emphasis for the chaplaincy at ‘Iolani is the Chapel experience. A qualified candidate must be experienced in leading engaging chapel services with accessible and timely messages for the Upper School community, and building up student leadership opportunities within the Chapel. The Chaplains also work with members of the school and community to foster and encourage service and outreach opportunities for students. Additionally, candidates need to express a pastoral presence and caring disposition. The Upper School Chaplain shares in the rota of the pastoral offices of the Chapel with the other Chaplains. In addition to strong written and oral communication skills, the position requires ongoing collaboration with religion department colleagues. Candidates should have the ability to organize and manage many projects concurrently, and be comfortable using technology in his/her teaching, grading, and school-related communications. Experience in a boarding school environment is a plus. Apply directly to the school by following this link.